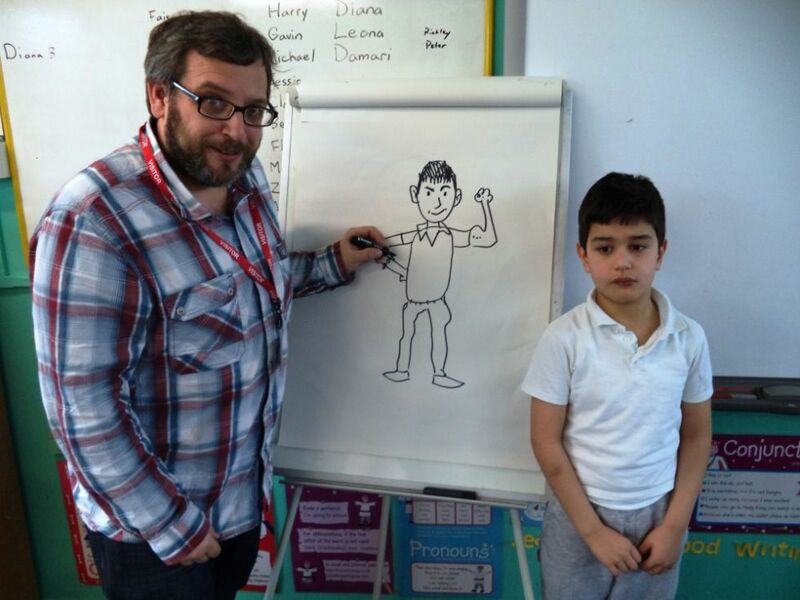 There has been a buzz of excitement this week as book authors and illustrators visit Kingsmead! 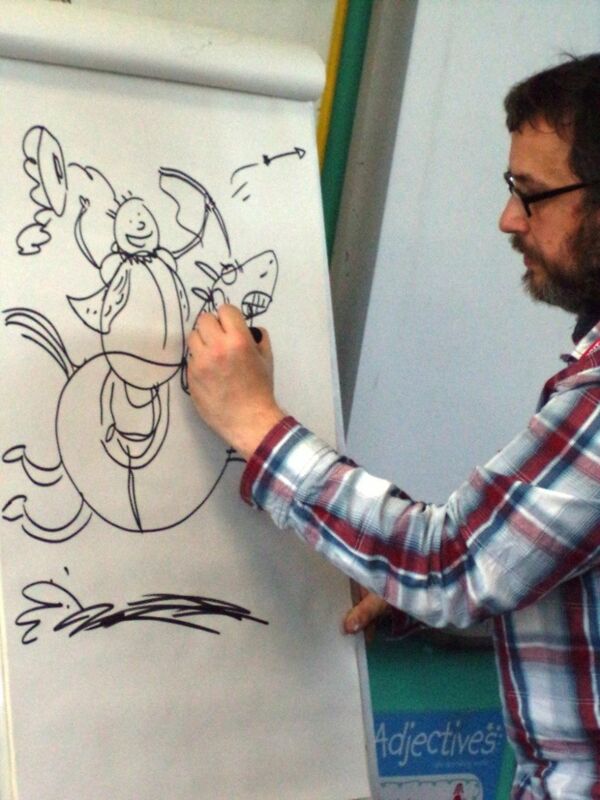 There has been a buzz of excitement this week as book authors and illustrators visit Kingsmead! 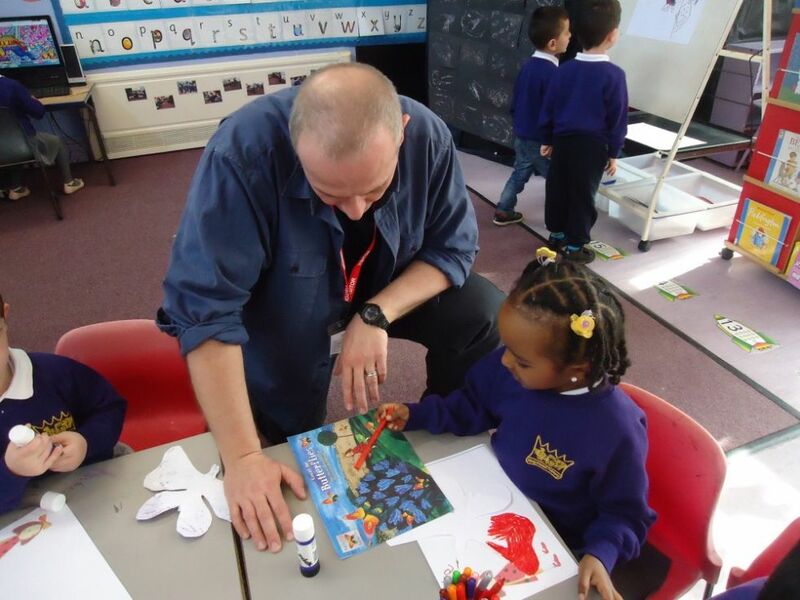 Each class in the school has been linked to an author, and following some lesson time to familiarise themselves with a book, the classes have been meeting the author of that very book! An arts organisation called Pop Up have scheduled the events. 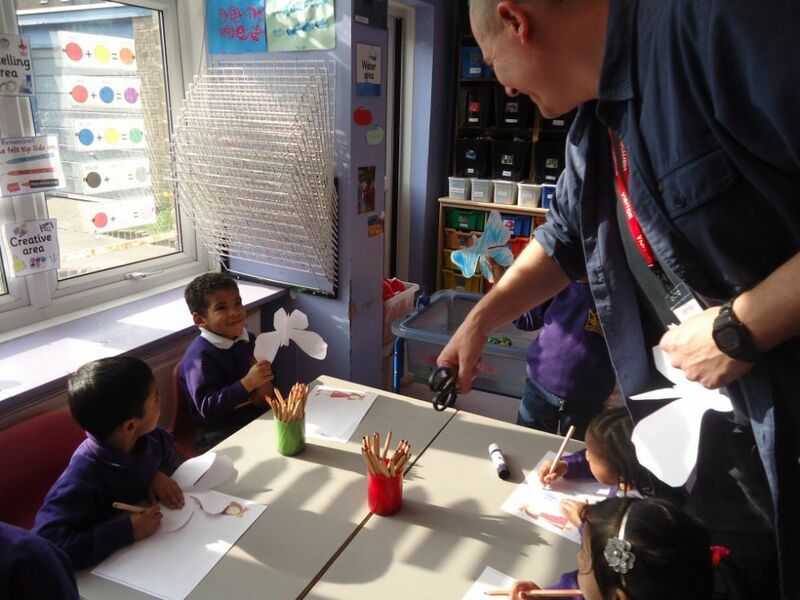 Nursery and Reception met Petr Horacek, who wrote Butterfly Butterfly. 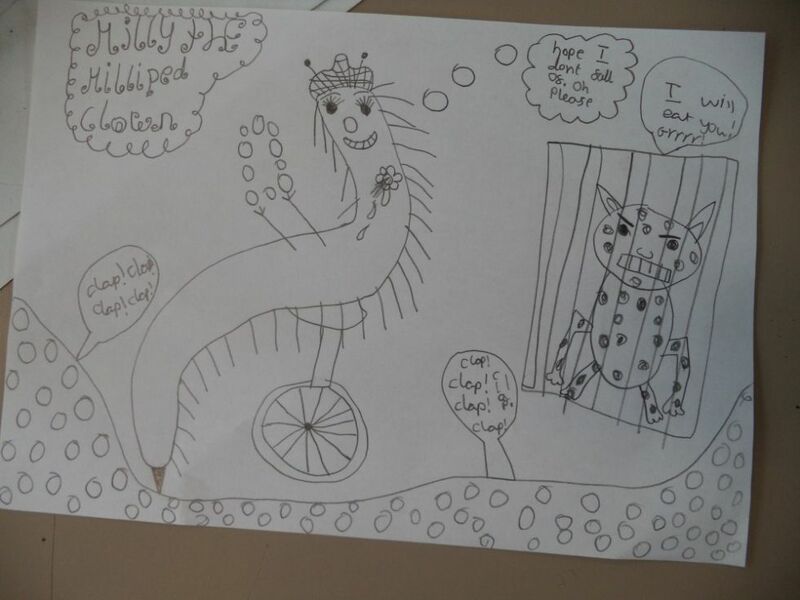 Year 2 Ros Asquith It's Not Fairy! 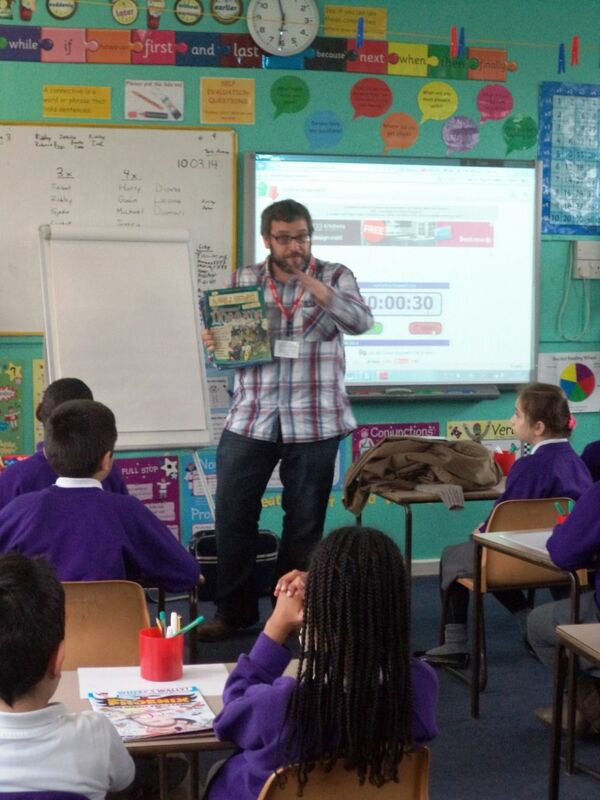 Gary Northfield showed the Y4 class some of his funny cartoon drawings in the Beano and the Phoenix. 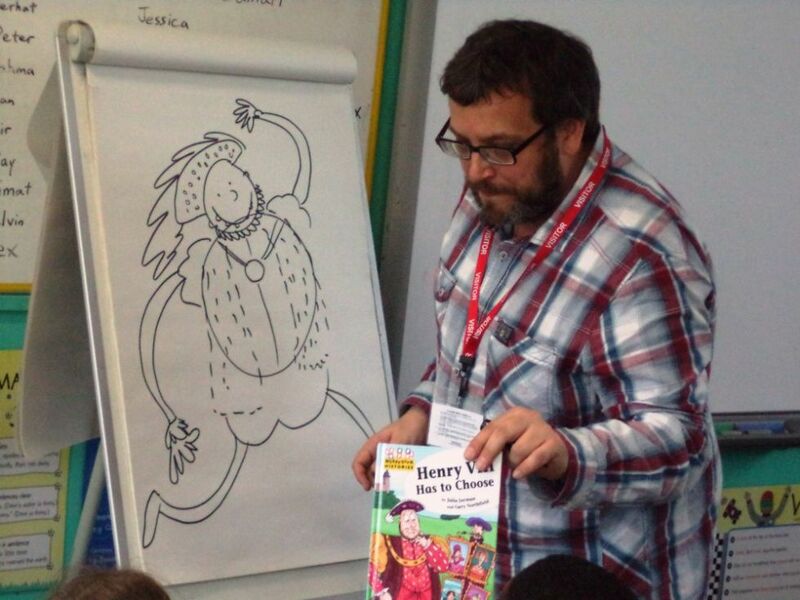 He has a story that runs every week in the Phoenix Cartoon (see https://www.thephoenixcomic.co.uk/) and here you can see him showing Year 4 how to create a cartoon character of Henry VIII then of Serhat! Year 5 were riveted by the workshop by Sally Pomme Clayton. 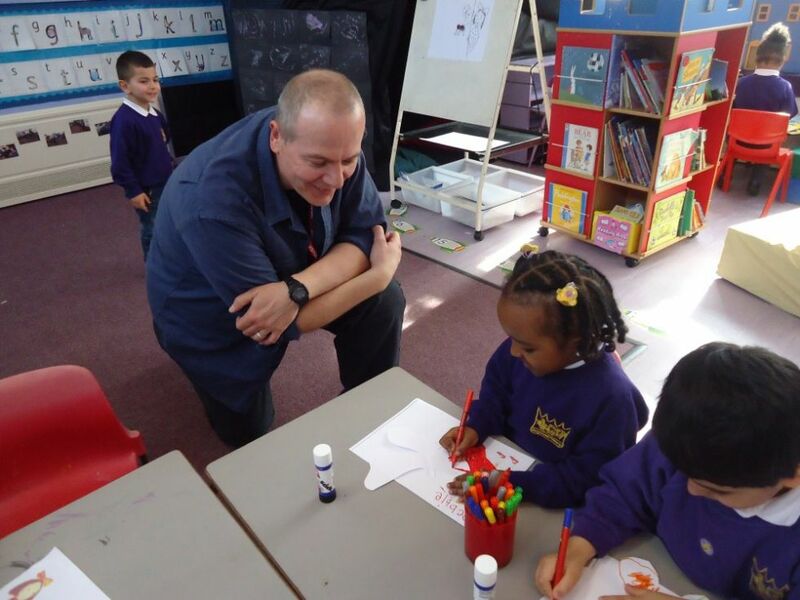 She shared with them some of her writing about the Greek Myths (which the class already love) and dazzled the children and staff with her story-telling magic. Year 6 is a class which really loves biographies and learning about the lives of real people. 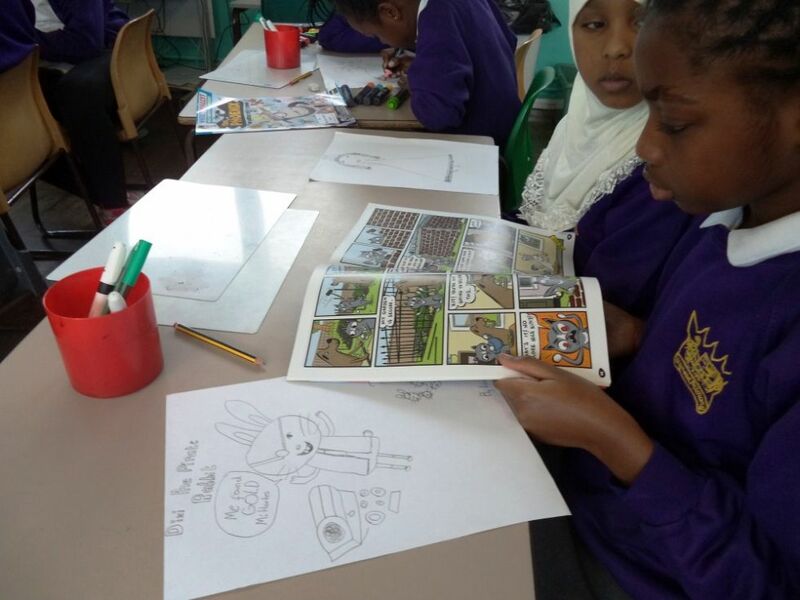 They are looking forward to meeting Michaela Morgan to learn about the life of Walter Tull (1888-1918), the first black player to play for the top division of the football league, and also the first to be commissioned as an infantry officer in the British Army. Some of our keen readers in Year 5 and 6 have been reading a more challenging novel 'Valkyrie' and will be teaming up with some children at Millfields school to meet the author Kate O'Hearn and discuss her book. The group have found the book 'exciting and nerve-wracking'. See the pdf attached below showing all of the authors who visited us. Keep watching the website. We will be posting more photos of the lovely work that emerges as the workshops take place.